Good Characters fashions its stamps after the authentic stamps of China, Korea, and Japan. 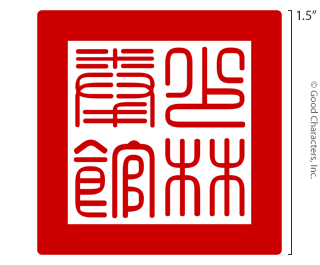 The Dojo stamp is inspired by the Great Seals—the national seals—of the Republic of China and the Republic of Korea, which have thick borders. 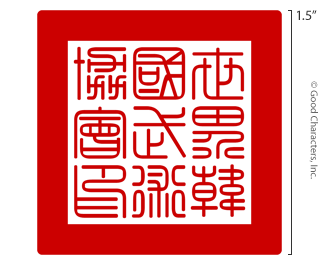 The Style 1 Dojo stamp, the school stamp, is inspired by the Great Seal, the most authoritative symbol. Therefore it has a thick border. Other authentication stamps and individual name stamps have, appropriately, thinner borders. 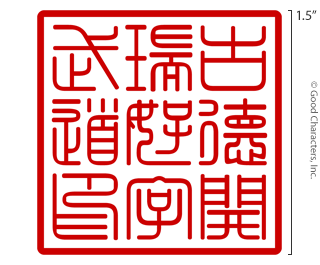 The Style 2 Dojo Stamp is inspired by the Great Seal of Japan and it has a thin border. The designs of the official seals of Japan were created in 1874. 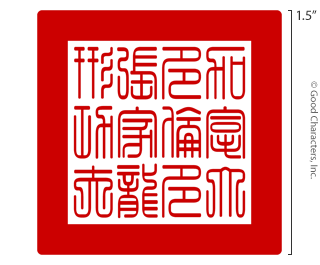 The characters are carved as thin lines in a square bordered with a thin line. 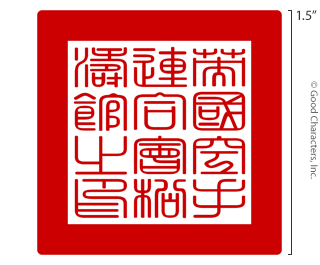 A fictitious example of a twelve-character design: United Shotokan Karate of United Kingdom Seal. 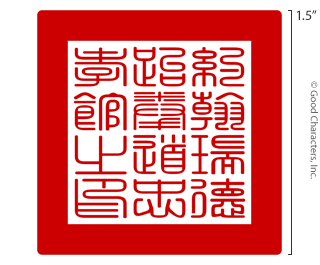 A fictitious example of a twelve-character design: Chung Family Dragon Kung Fu, Toronto, Canada. 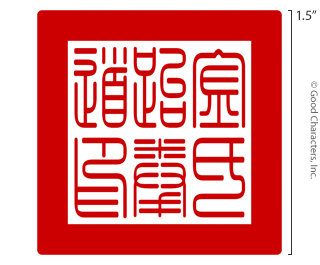 A fictitious example of a sixteen-character design: Official Seal of John Reed Tae Kwon Do Chung Hsiao Academy.